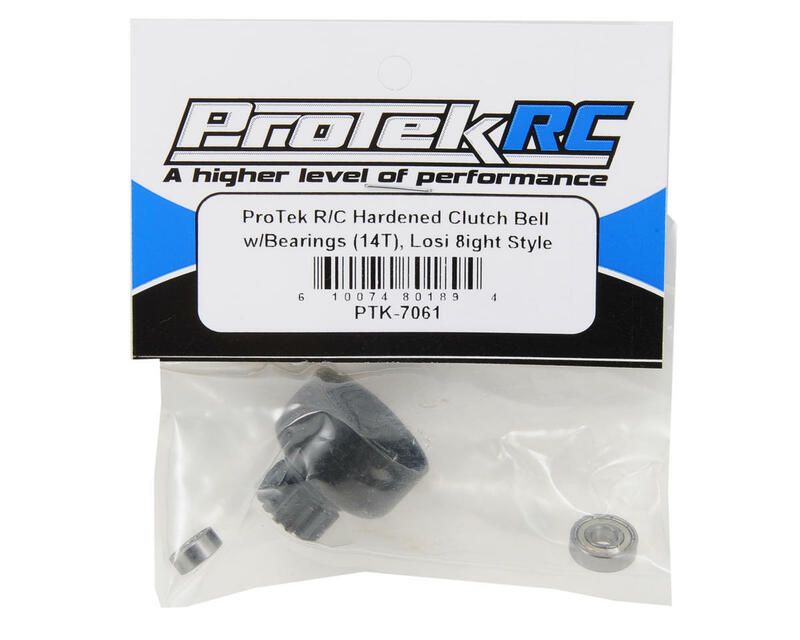 This is an optional ProTek R/C Hardened 14 tooth clutch bell for Losi style clutch systems. These clutch bells are hardened and precision cut, providing you with worry free performance that is on par with any manufacturer. 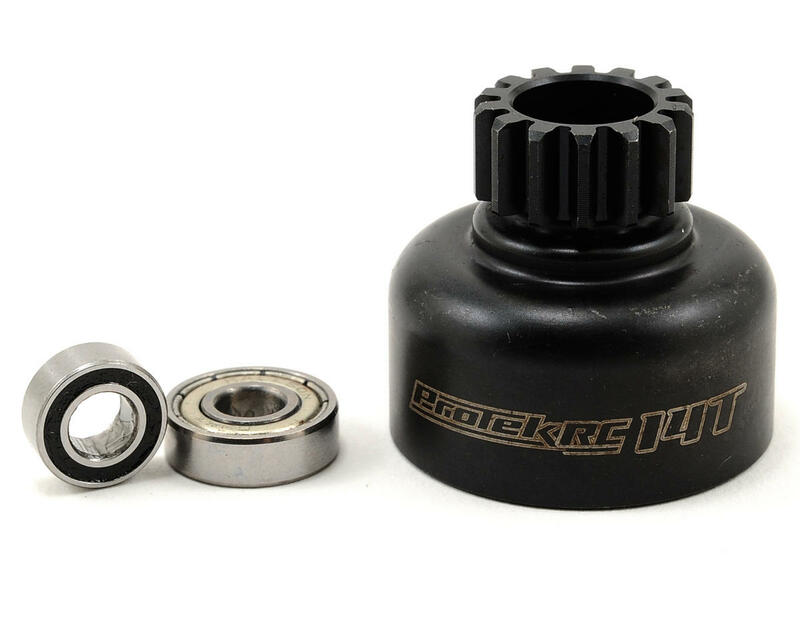 They also use the standard Losi large 5x13mm bearing in the inner position and a 5x10mm bearing in the outer position. The clutch bell is installed over the clutch shoes and will engage when the engine rpm's increase, allowing the engines power to transfer to the center spur gear and the rest of the drive train. A clutch bell with fewer teeth than what you are using will provide increased bottom end acceleration with reduced top end speed, which is good for smaller technical tracks. A clutch bell with more teeth will increase top end speed, at the expense of reduced bottom end acceleration, which is better suited to larger flowing tracks. Includes one 5x13mm metal shielded bearing, and one 5x10 rubber sealed bearing. If you're using it on an lrp engine, it's too deep. You'll have to file down the bell housing about 1-1.5mm. Other than that I've had no issues with it.